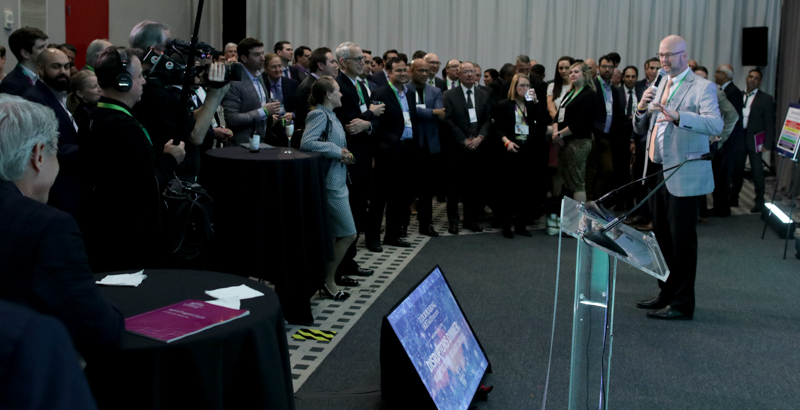 TPH Hosts 2nd Disruptors Dinner at Innovation Agora and Google Cloud Co-Hosted Dinner during CERAWeek – Tudor, Pickering, Holt & Co. 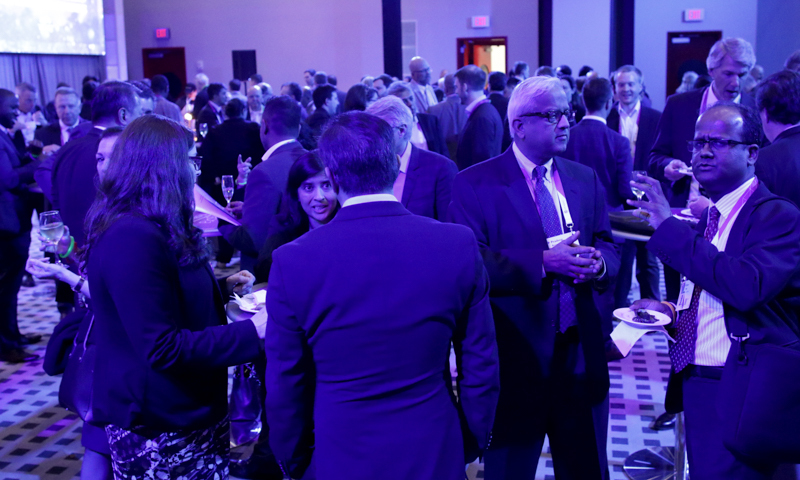 The 38th annual CERAWeek and AGORA shared (and filled) the massive event spaces of both the George Brown Convention Center and the entire Hilton Americas Hotel. Participants from energy industry leadership, government officials, policy makers and key executives from a wide range of technology companies met, presented, challenged, debated (and sometimes disagreed) while covering the breadth of energy related topics from CO2 to Hydrogen to fusion. 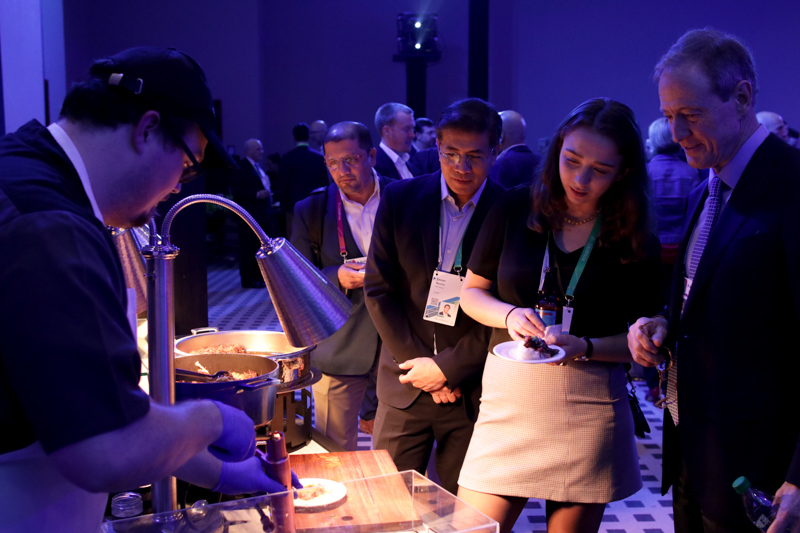 AGORA, underwritten by TPH provided a menu of technology initiatives wider than the electromagnetic spectrum, which as luck would have it was also one of the topics. Many of the presentations were standing room only and the question period often spilled into the halls as the moderators adhered to a strict time schedule. TPH sponsored two dinners during the events. 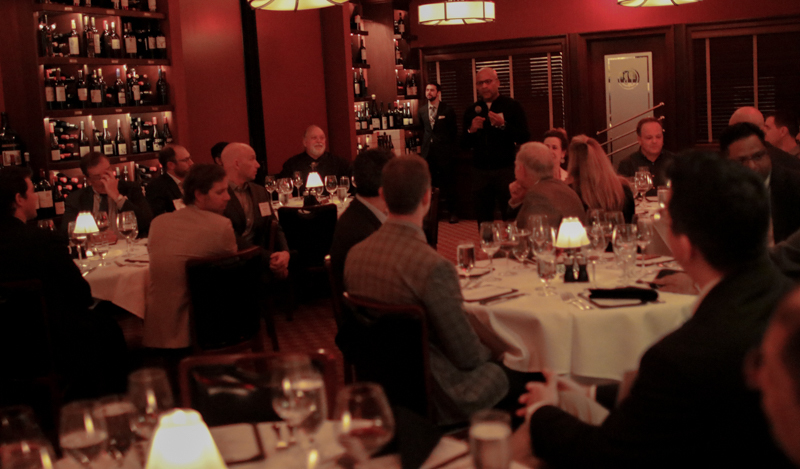 The Disruptors Dinner drew about 125 hand selected energy executives. The theme—“WHERE ENERGY DREAMERS CONVERGE”. 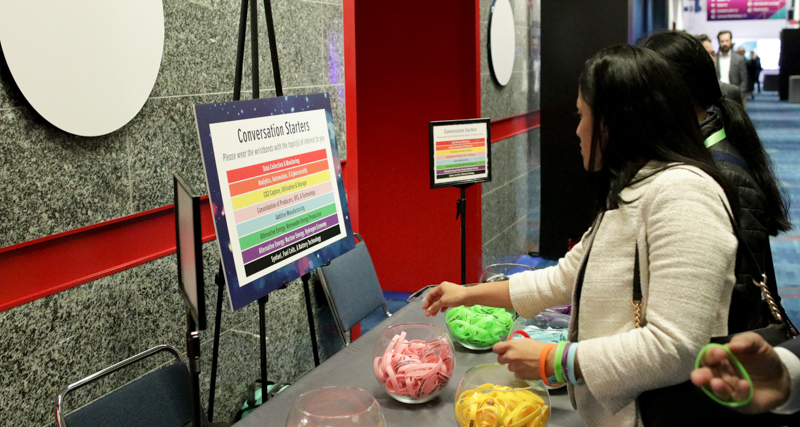 The lucky few to attend selected colored conversation bracelets corresponding to the topics they were interested in discussing. A walk through the room and glance at a wrist and it was easy to find the others that shared your passion. Indeed, many spirited discussions were apparent during the cocktail hour. 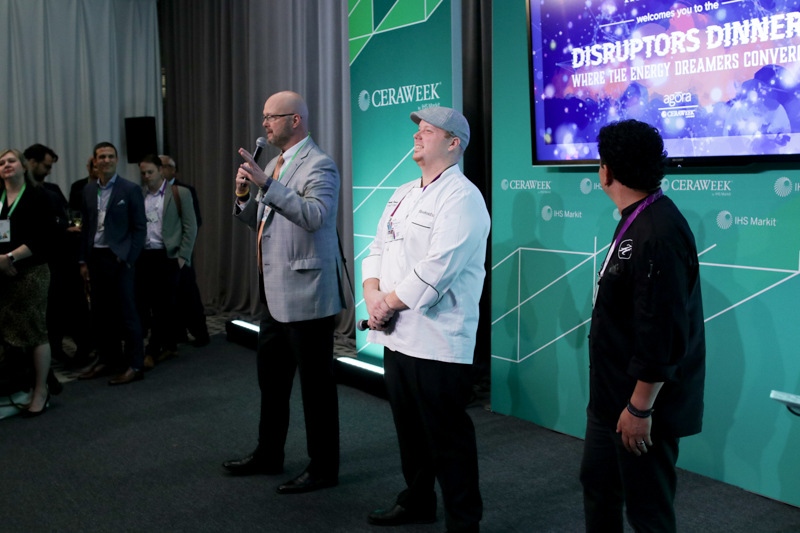 The dinner was also a disruptor’s dream with culinary “experiments”– smoked “impossible meat” tacos, a fusion of Korean BBQ & soul food, and, of course a round of desserts prepared with sweet & savory ingredients and liquid nitrogen. But, the “meat” of the night was a survey created on the spot and projected around the room throughout the evening. Participants answered questions like “What is the biggest obstacle to advancing your organization in the pursuit of energy technology initiatives?” and “What are the biggest disruptors to the energy industry in 5 years?” As the results scrolled across screens in the room, the survey gave people the opportunity rank the pros and cons various energy sources from traditional to renewables to futuristic. 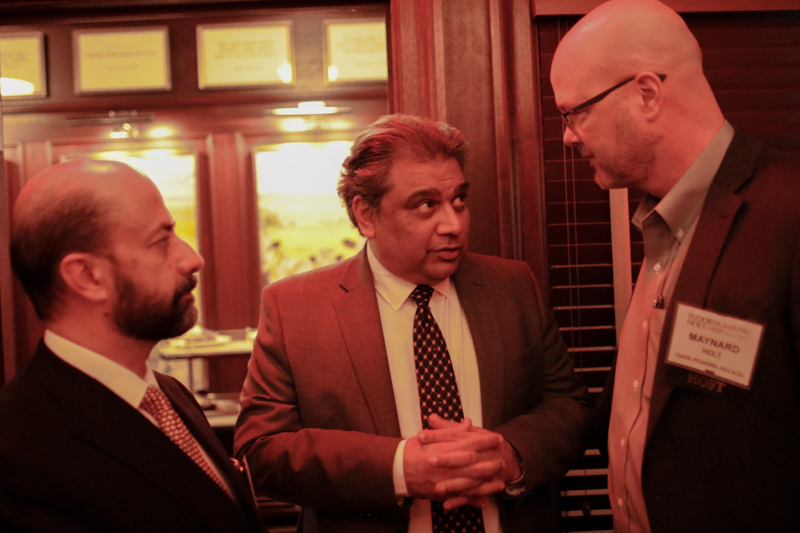 The second dinner was co-hosted by TPH and Google. A smaller group than the Disruptor’s dinner, Silicon Valley came face to face with energy executives as both groups looked for ways to combine the unique talents of each group to grapple with the huge issues related to Big Data, Cybersecurity, AI, machine learning and more. The focus of course was how to produce clean energy and extend the reach of clean energy to all people throughout the world. TPH once again has led the way with creative advice and a creative forum to engage the wide ranging issues facing the energy industry.